Pennsylvania is home to many classic amusement parks, several of which began operating as early as the late nineteenth century. Some of these parks maintain rides and amusements from their early years, preserving an atmosphere of nostalgia. Others have evolved with new trends in the industry, adding high-tech rides and water parks. 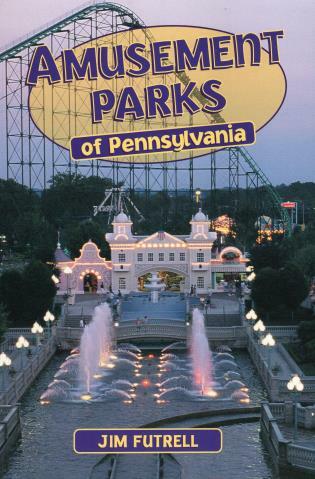 This book begins with a concise history of the amusement park, then surveys the industry in Pennsylvania. A comprehensive guide to 13 parks in the state and a selection of smaller ones, complete with information on rides and attractions, follows. Packed with vintage postcard images and photos. Jim Futrell has worked as a marketing consultant for Kennywood Entertainment and Conneaut Lake Park and is the director and historian of the National Amusement Park Historical Association. A resident of Pittsburgh, he is the author of several articles on amusement parks and an avid collector of amusement park memorabilia.